Before we had finished the paperwork required to check in to Ganesha Riverside Eco Resort, our host Billy suggested we take a moment to go see the sunset. We walked past huts on bamboo stilts and stood at the edge of a rice field just in time to see a deep orange sun set over the Elephant Mountains. 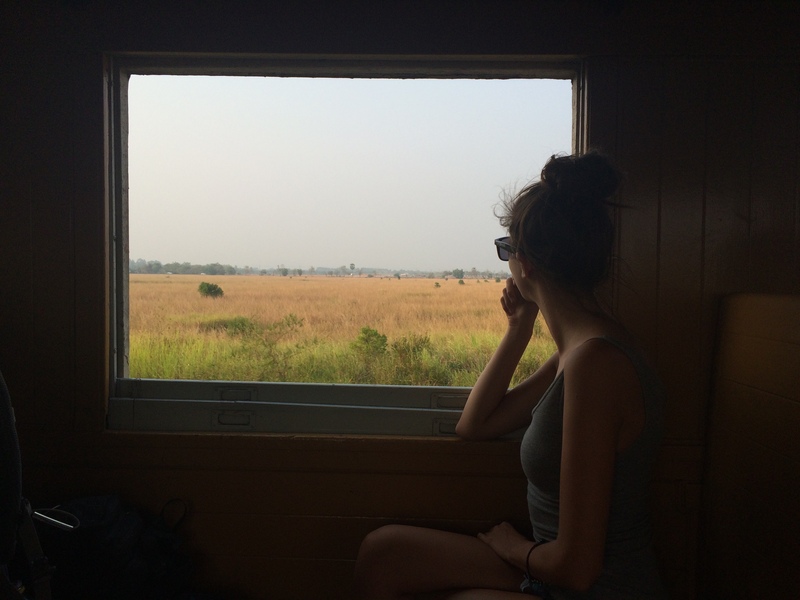 It felt like the perfect response to bustling, chaotic and unsafe Phnom Penh experience. 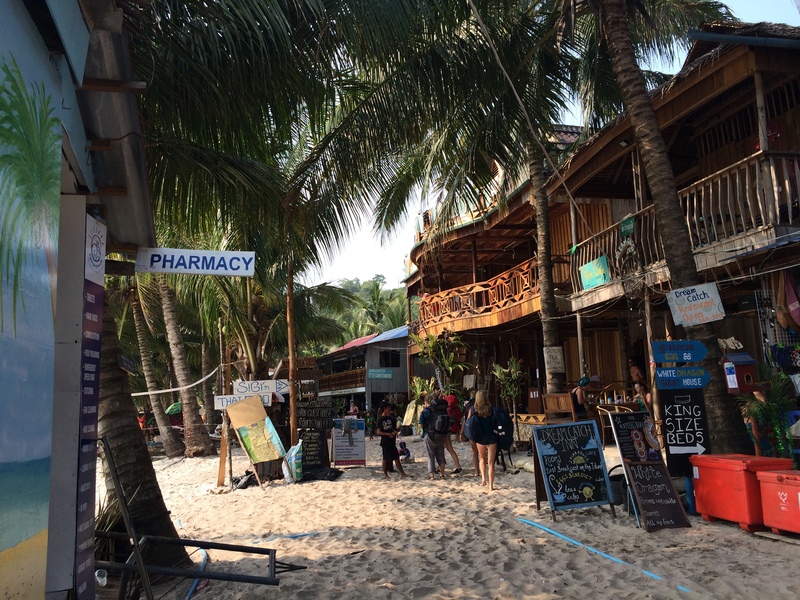 The town of Kampot is a quaint fishing village with a French colonial twist. The surrounding farms grow world famous Kampot pepper and there are large salt farms lining the ocean coast. Ganesha is hidden twenty minutes away, off a couple of dirt side roads. It really doesn’t get any more idyllic. 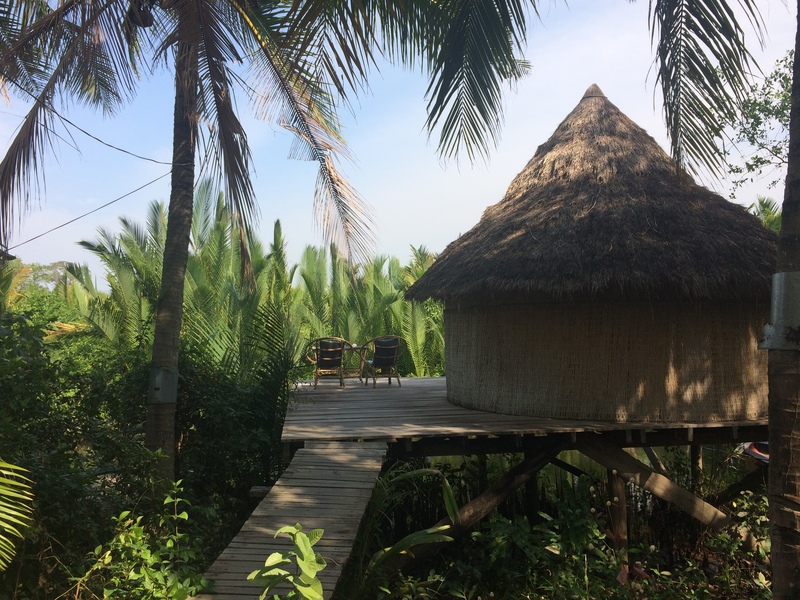 We didn’t get up to too much in Kampot, as it’s more of a place to sit back and relax with nature. We spent time in our hammock and played cards in the evening to deep house music — our favourite way to kill time. 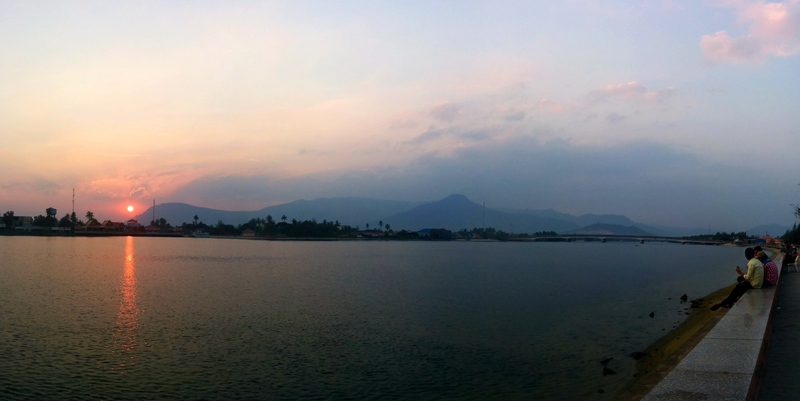 The one thing we enjoyed most about Kampot was how seriously everyone took the sunset. Every evening, right at 5 p.m, locals lined the riverside to watch the sun set over the mountains. Watching (and joining) everyone as they stopped to take in the natural beauty of the landscape before dinner was our favourite part of the evenings. Little things like that are uncommon in the western world. Our view driving through Kep. 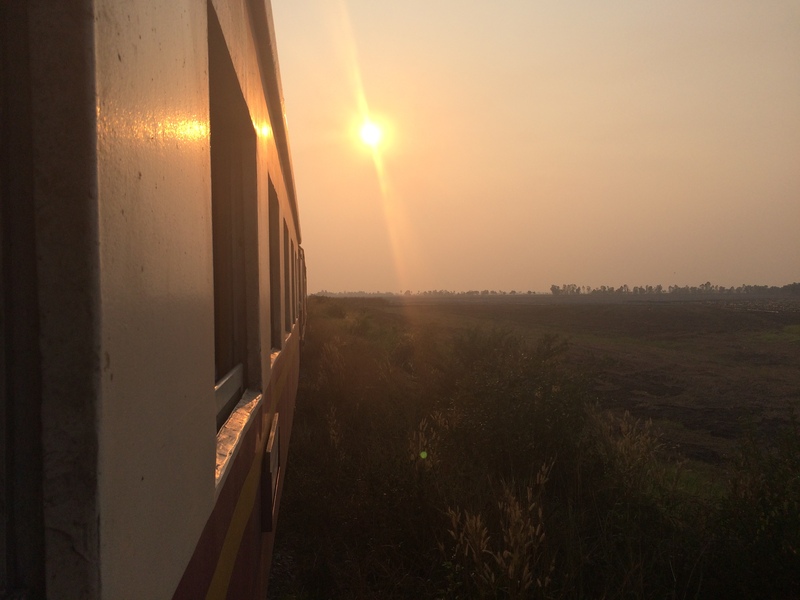 We decided to take one day to see all there was to see in Kampot and its sister town, Kep. We rented a $5/day motorbike and drove out to get our very own Kampot pepper, straight from the organic farm. They sold three varieties of pepper: white, red, and black. Each has a distinct flavour – white was for fish, red for poultry and beef, and black was used on everything. 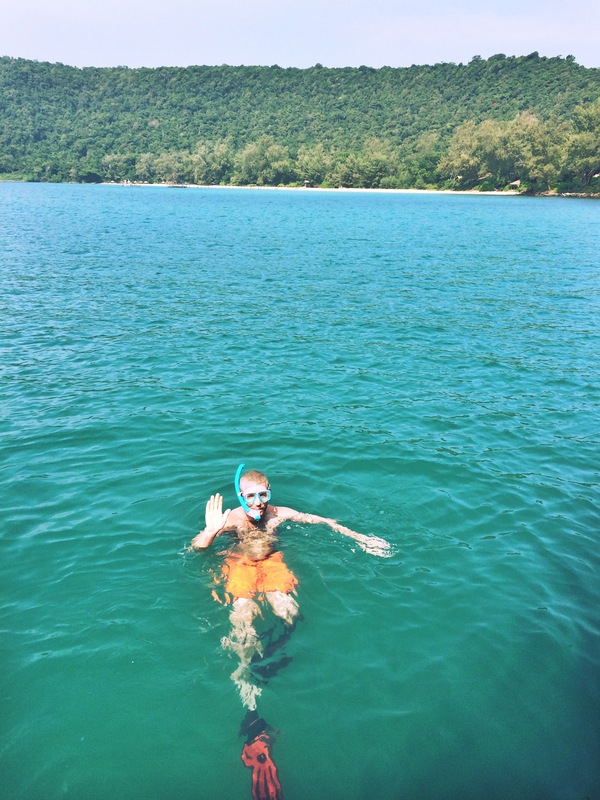 After the short tour, we headed through Kep to dip our toes into the ocean and experience the oceanside crab market. 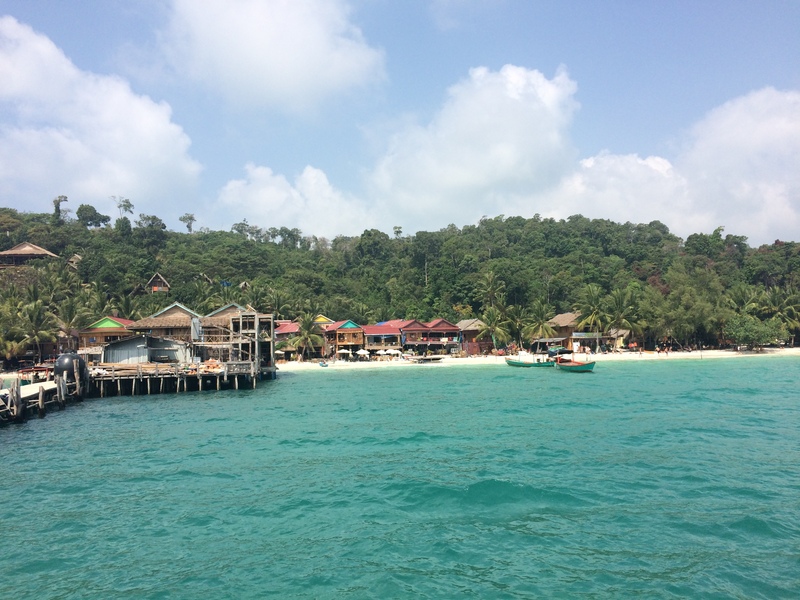 The crab market in Kep was bustling with locals selling any kind of seafood you could imagine. Every restaurant sold crab, making it hard to choose one spot. Eventually we settled on a place called Holy Crab, encouraged by some online reviews. The view was amazing and the crab dishes were even better. We chose a crab salad with two crabs ($6) and a green Kampot pepper baked crab ($8). They were hands down some of the best dishes we’ve had during our travels! 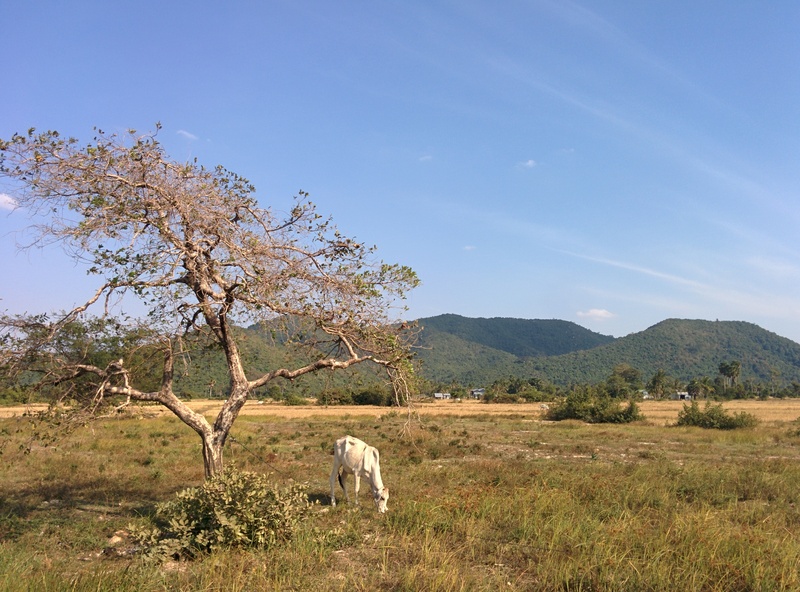 A nice break from the bustling cities of Cambodia, Kampot was delightfully understated and hopefully it stays that way to preserve the beauty and simplicity of it. A city untouched by tourists, the food and people made it one of our favourite destinations in Cambodia. 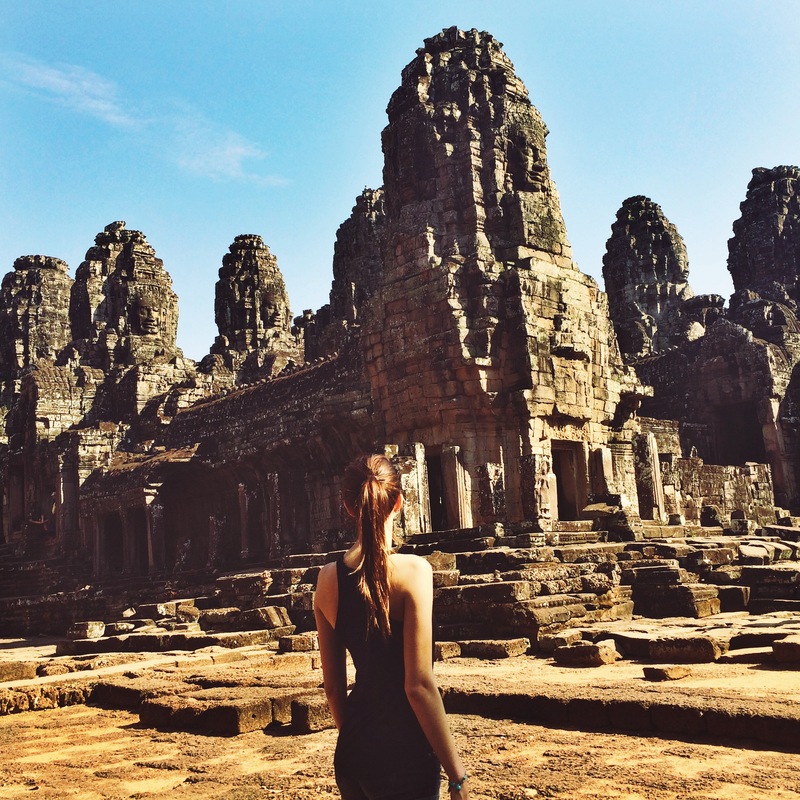 Visiting the Angkor Wat temples and spending time in Siem Reap is by far one of our favourite highlights of our entire trip. Plus, we shamelessly broke in our selfie stick for the first time! Check out all of our pictures of the stunning Angkor Wat complex as well as a few silly ones from Siem Reap on our Flickr HERE.